Second sighting of our resident praying mantis. It was resting upside down on the chives. 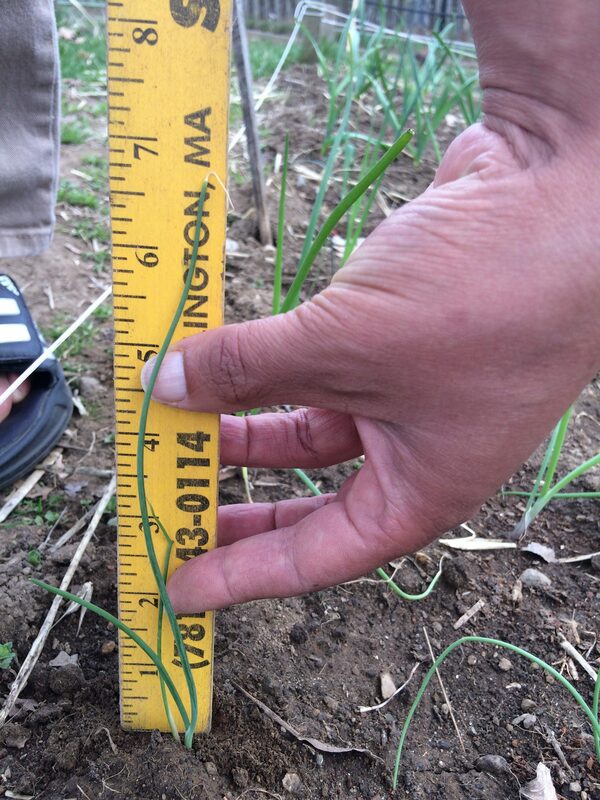 High mowing suggests trimming onion seedlings when they reach 5" to make them grow thicker and stronger. We did not remember to trim them while they were growing under the lights, but decided to try a side-by-side comparison with some plants trimmed just after transplanting them in the garden. 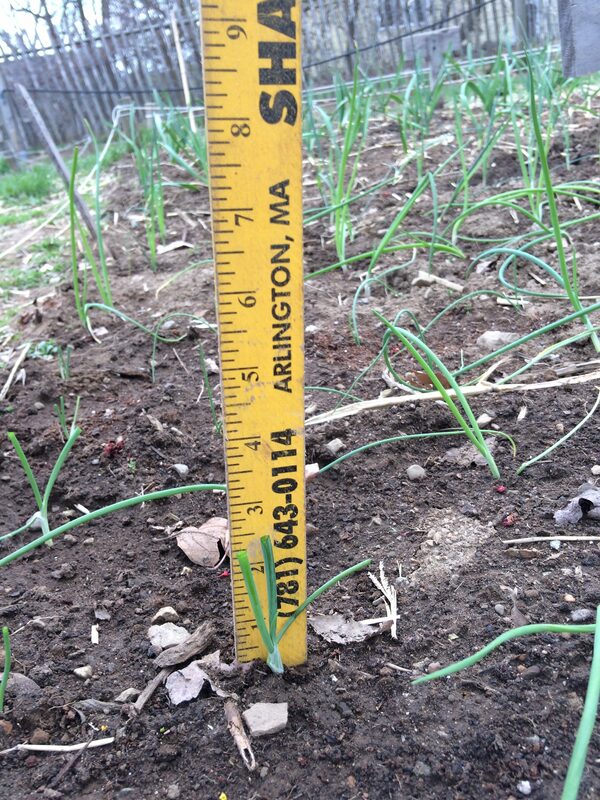 Many of our transplanted walla-walla onions were very close to the recommended 5" height for trimming. 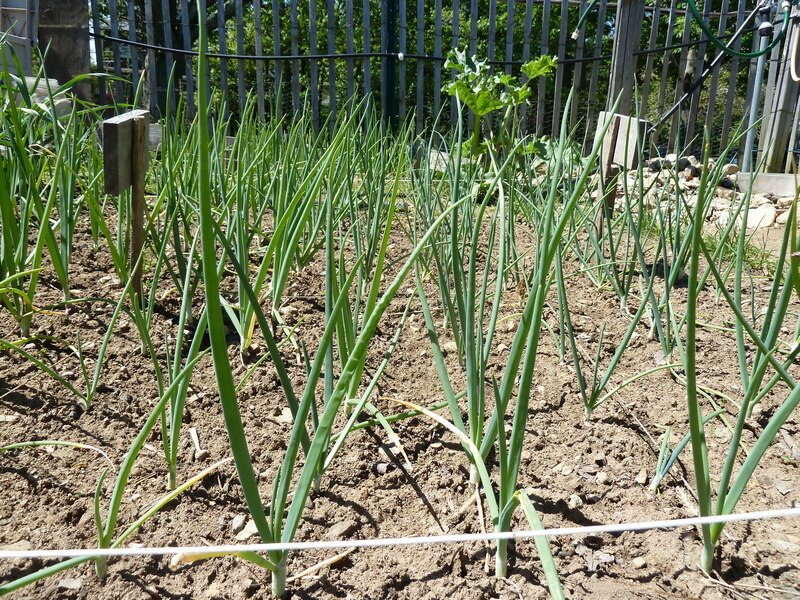 I selected a 5×5 grid of the onions (out of the 14×5 grid of walla wallas planted) and trimmed the tops. 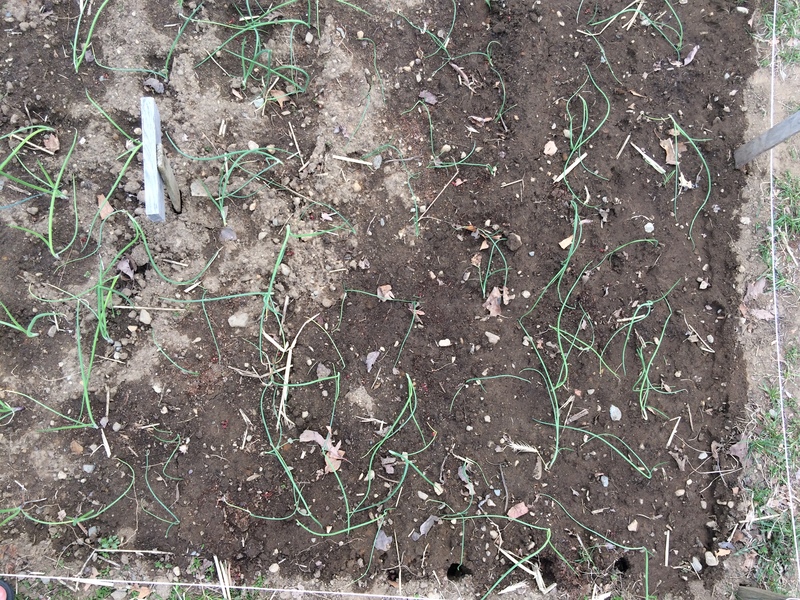 Below is a picture ot the allium bed before and after the trimming experiment — rows 3-7 from the back/right edge are the walla walla onions. Most of the walla wallas near the bottom of this picture were close to 5", so the grid of 5×5 walla wallas on the bottom was selected for the trimming experiment. 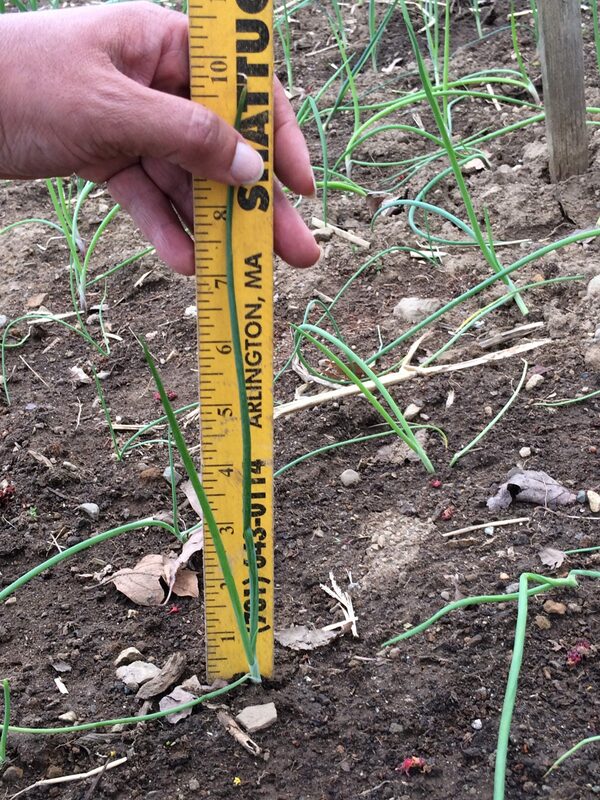 Close up of one of the walla wallas before and after trimming — the leaf was trimmed from 7" down to a little over 1". The trimmed onion tops caught up with the untrimmed tops quickly. By week 4, they were similar in size and it was difficult to tell them apart. 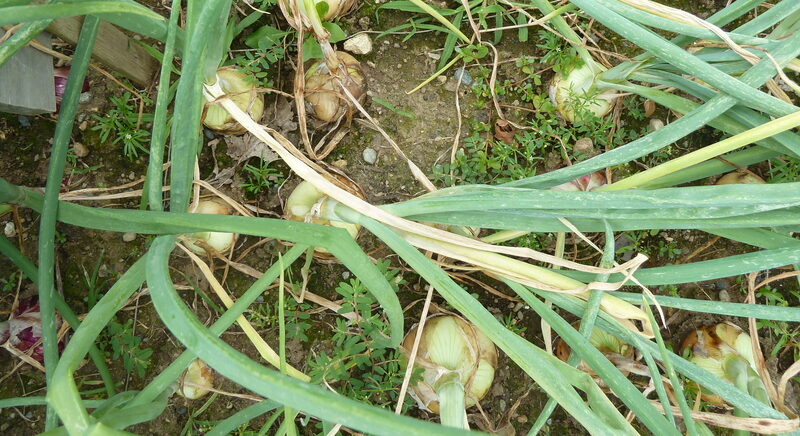 We harvested the onions on July 22. There still was no strong noticeable difference between the trimmed and untrimmed onions. 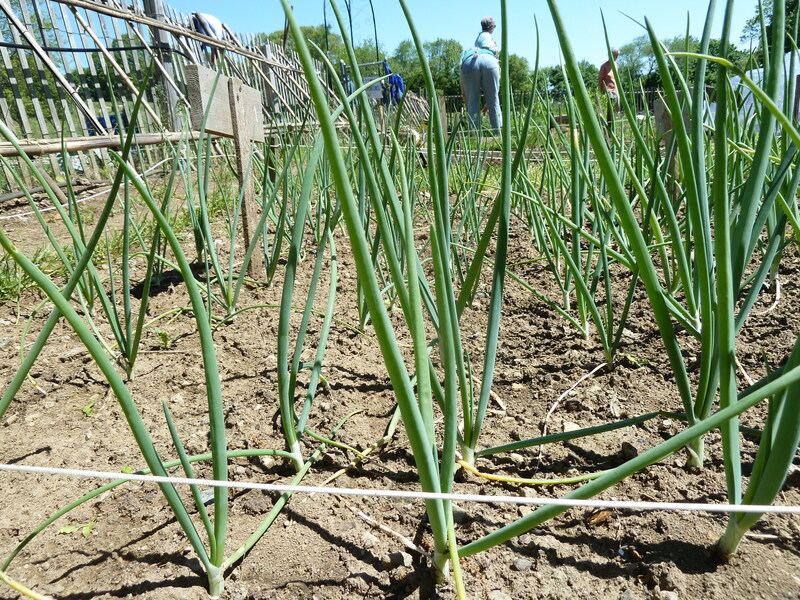 Both conditions grew well and had good sized onions, but the trimming did not seem to give much, if any, advantage to the onions. 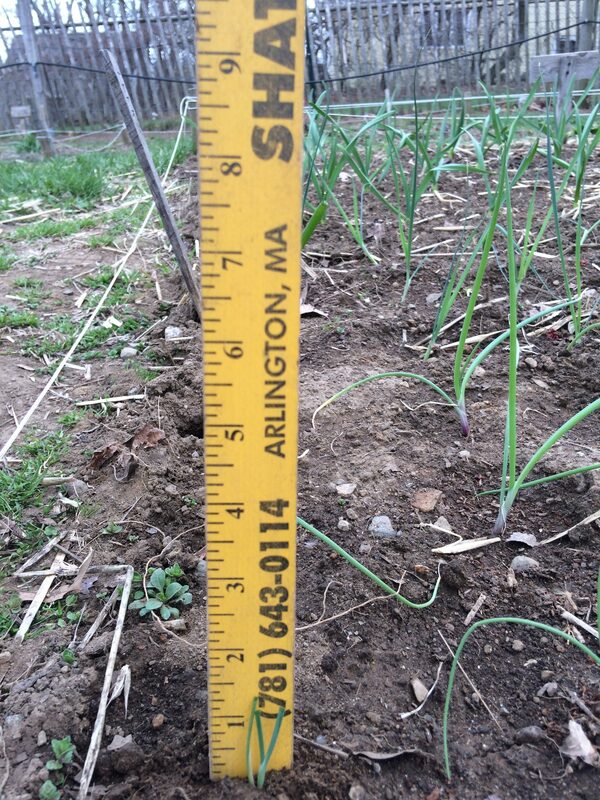 We planted two varieties of brussels sprouts this season: Churchill left-over from last season and a new variety Octia which we selected, in part based on a review of brussels sprouts from UNH cooperative extension. 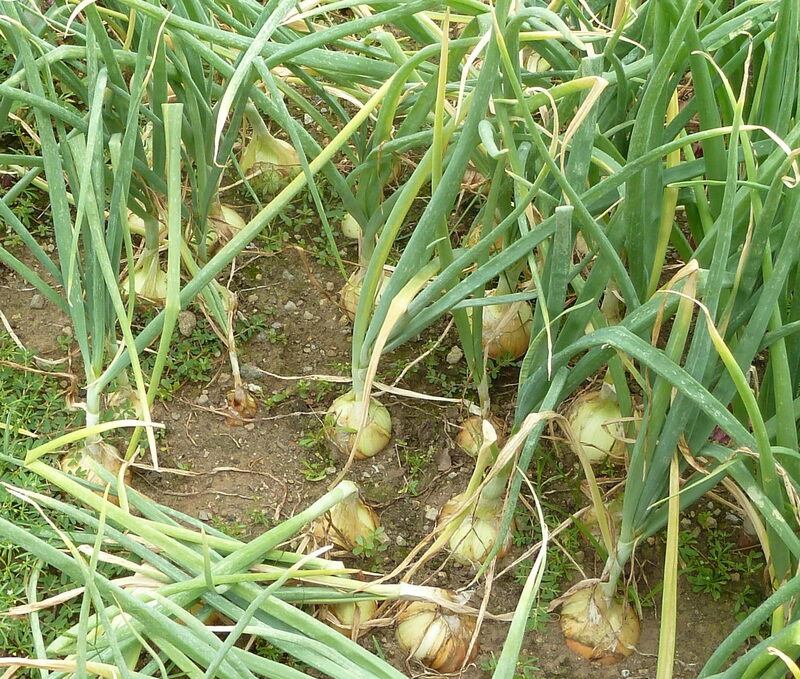 As recommended by that review, we topped both varieties to encourage a higher yield. The mature plants were relatively easy to distinguish because Churchill has a redish tint to the stalks and leaf stems (lower left) while the Octia were pale green (upper right). Another difference was the time to maturity. 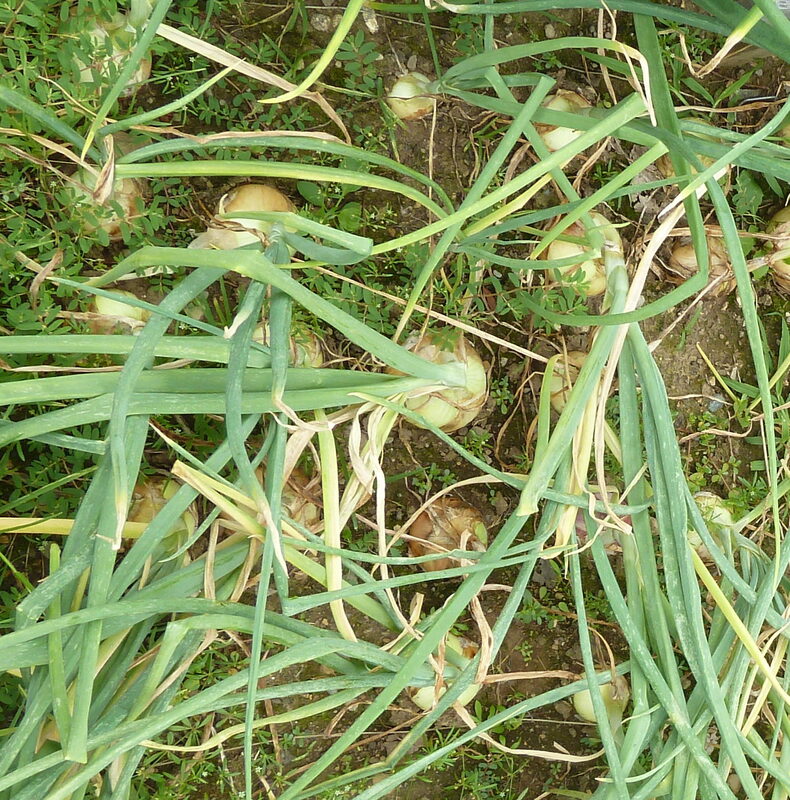 A few Octia sprouts were large enough to start harvesting in mid-September, while the Churchill sprouts were still very small. 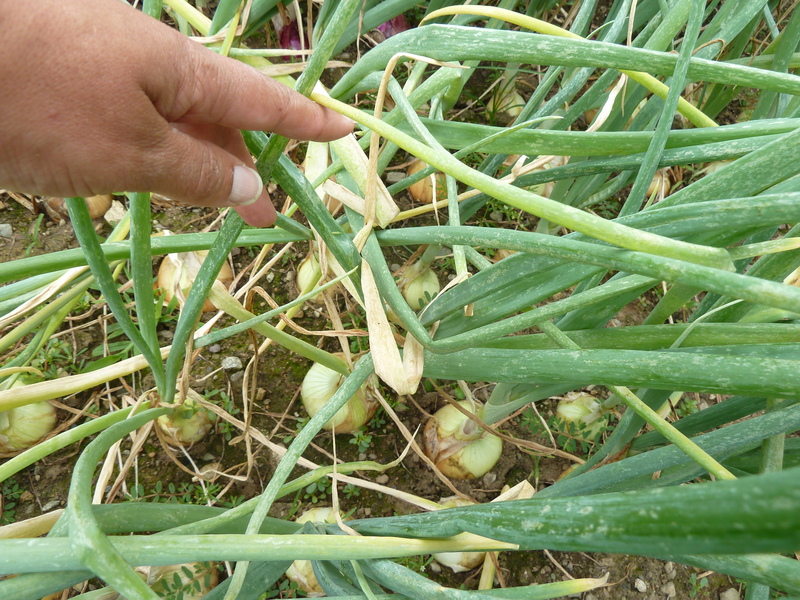 Now, in mid-October, both varieties have some harvestable sprouts, but the Octia has a much larger quantity of mature sprouts ranging from medium sized to very large. Churchill sprouts are small to medium. 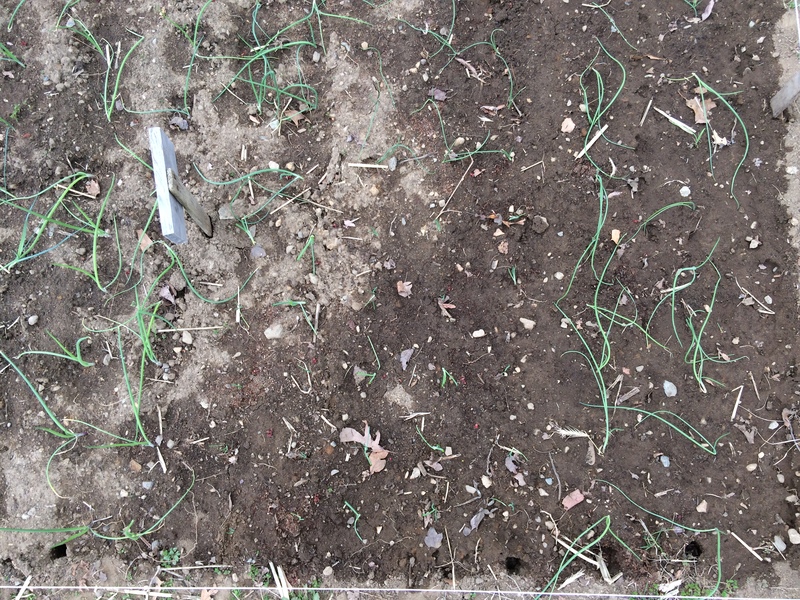 The picture below contrasts the number of Octia (left) versus Churchill (right) sprouts harvested on October 7th. Octia produced 4-5 times more sprouts than Churchill and some of them were very large. 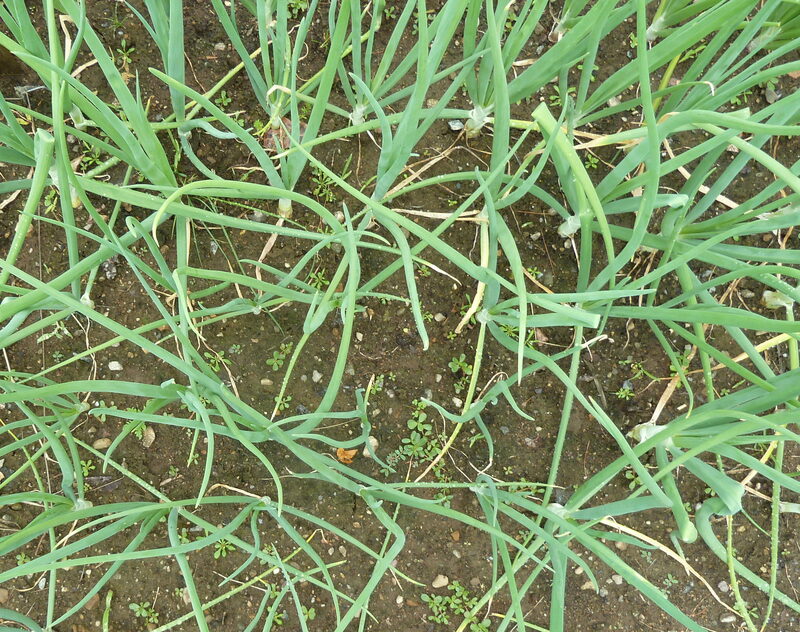 One issue that we noticed with Octia at the start of the harvest was that the outer leaves of some sprouts were damaged (dead or possibly mildew?) and stunted growth. It was a small portion of the sprouts, but those affected by the damage were still edible after removing the outer leaves. Some of the Churchill sprouts also had an odd elongated pine-cone shape to them instead of a more compact cabbage shape, but they still taste fine and mature to a medium size. Overall, the Octia seems to be a good variety and is much more productive than Churchill; however, a portion of the sprouts were damaged and remained small. Another consideration for future brussels sprouts varieties in the garden is that the Churchill variety was not offered by Burpee or Johnny's Seeds for the 2016 season, so it is not clear whether Churchill will be available for next season. On another note, we have been very fortunate to have very few aphids on either variety of brussels sprouts this year! Aphids were one of the major challenges we faced with the brussels sprouts in the past two years.